Swirl it around your tree; tie it on gift boxes, chair backs, curtains or atop a platter of cookies; or drape it over the neck of a special bottle of wine. 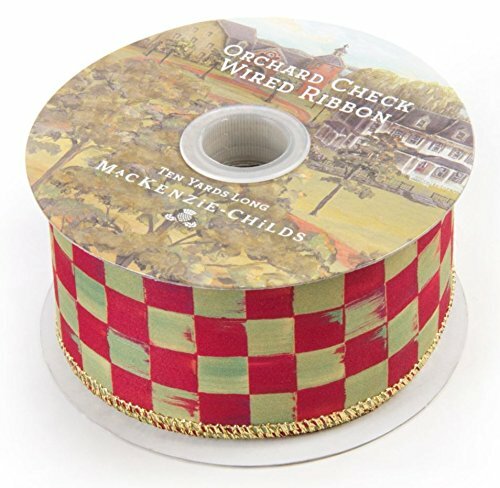 You’ll find no limit to the uses for our signature ribbon, with silk-finish Orchard Check on one side and festive gold on the other. You may need a couple of rolls, at least. Wired edge for easy shaping.